Are you ready for you clinical fellowship? The Therapy Spot offers a unique experience for clinical fellows. During your Clinical Fellowship year in speech-language pathology you will receive support and supervision to meet eligibility requirements for the Certificate in Clinical Competence (CCC) through the American Speech-Language Hearing Association (ASHA). You will also complete requirements to obtain a full license in speech-language pathology granted by the Maryland Board of Examiners for Audiologists, Hearing-Aid Dispensers and Speech-Language Pathologists. During the course of the Clinical Fellowship Year (CFY), the supervisor and Clinical Fellow meet weekly to discuss the caseload and provide mentorship. 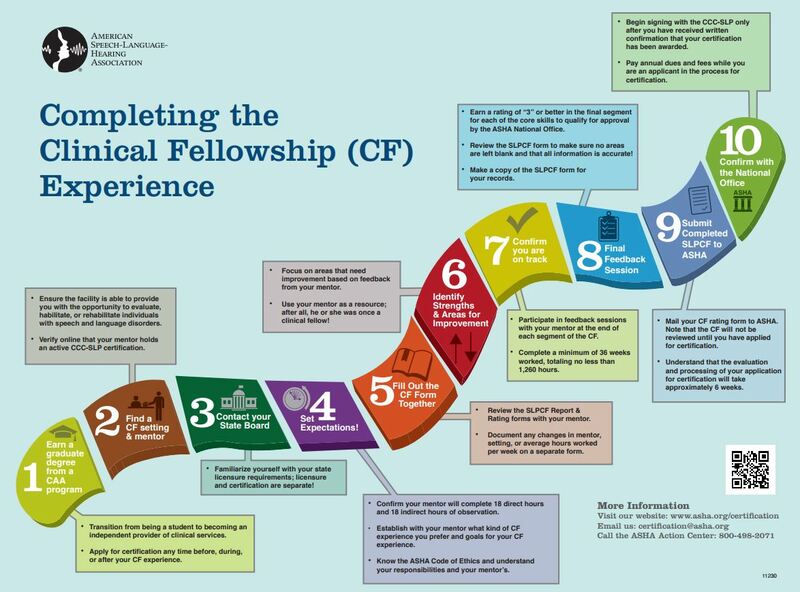 There is a formal meeting every three months to discuss the CF’s performance as rated on the Clinical Fellowship Skills Inventory (CFSI), as required by ASHA. To learn more about our SLP clinical fellowship opportunities apply here today!